The Audi TT has aged incredibly well, with sharp exterior styling and an especially stylish interior, which is roomier and more distinctive than the outgoing TT model. The new TT is built with weight-saving aluminum components which allow for spirited performance and good fuel efficiency. The all-weather aptitude of the 3.2 quattro model makes it an especially good choice for those who regularly face inclement weather conditions. And for the performance buyer, the new TTS should give the Porsche Boxster and Cayman a good run for the money. 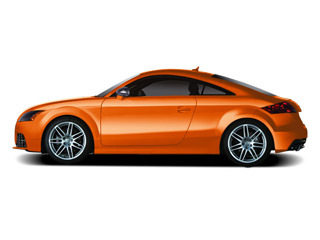 The 2009 Audi TT is offered as both a coupe and a roadster. The roadster has a power-retracting soft convertible top, which can open in just 12 seconds and operated at road speeds up to 25 mph. Two engines are offered on the TT. A turbocharged 200-hp, 2.0L direct-injection 4-cylinder engine is standard on the 2.0T model, while 3.2 models get the 250-horsepower, 3.2L V6. 2.0T models are available in either front-wheel drive or with Audi's quattro all-wheel-drive system, while 3.2 models come only in quattro configuration. With the 4-cylinder engine, the quick S-tronic dual-clutch gearbox is standard. S-tronic, which can function like a normal automatic transmission or shifted manually without a clutch, changes gears in a brisk 0.2 seconds. On V6 models, a six-speed manual transmission is also available. In the new high-performance TTS, you'll find a highly modified version of the 2.0L turbo, which puts out a potent 265 hp and 258 ft-lb of torque, good enough to propel the car to 60 mph in just 5.2 seconds. The quattro system and S-tronic transmission are standard. The TT is built on the aluminum-alloy Audi Space Frame, which helps reduce weight; the bodyshell weighs only 308 pounds. 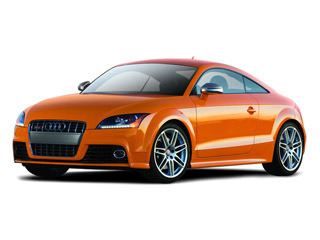 When equipped with S-tronic, the 3.2 quattro reaches 60 mph in 5.5 seconds, while the 4-cylinder takes as 6.3 seconds. The all-wheel-drive system that comes with 3.2 quattro models sends 85% of engine torque to the front wheels for normal driving, but as needed it can send up to 100% to the rear wheels. The TT features a sport-tuned suspension and all models come with excellent brakes. On all TT models, in coupe or roadster form, a rear spoiler deploys at 75 mph and helps enhance stability. A notable option is Audi Magnetic Ride, which allows for multiple suspension modes; the system uses fluid that alters the suspension's stiffness depending on the voltage applied. It is standard on the TTS and available on the 2.0 and 3.2. Head and thorax side air bags and front knee air bags are standard.